Full of well-written, thoughtful, carefully researched essays, this book is a fascinating and thought-provoking look at the Vietnam antiwar movement. 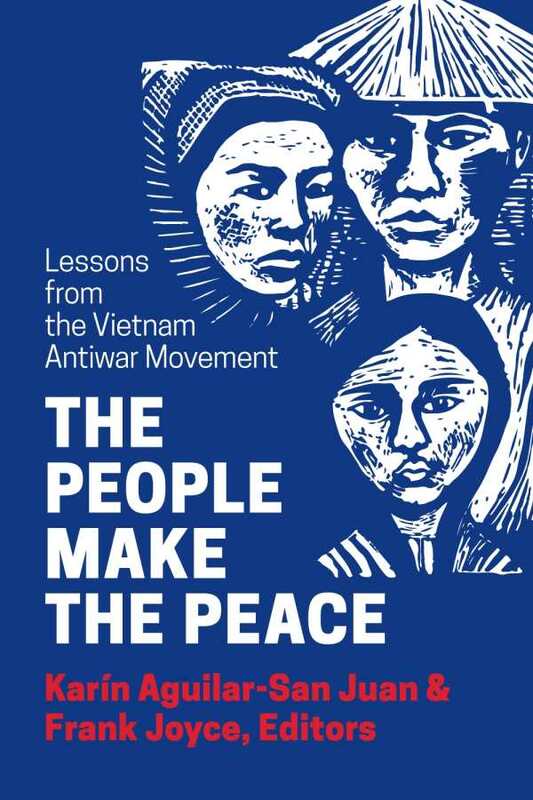 The People Make the Peace: Lessons from the Vietnam Antiwar Movement presents fascinating, thought-provoking eyewitness accounts of the Vietnam War and the antiwar movement it sparked. This book is essential reading for anyone interested in US foreign policy, the central role of military engagement in US history, and grassroots efforts to promote global peace. Editors Karín Aguilar-San Juan and Frank Joyce provide history and context for understanding eleven retrospective essays penned by nine US antiwar activists who visited Vietnam during the war. The “Hanoi 9” address issues of how the war affected them personally and US society generally. Rennie Davis, Judy Gumbo, Alex Hing, Doug Hostetter, Jay Craven, Becca Wilson, John McAuliff, Myra MacPherson, and Nancy Kurshan all have been “persons of interest” to the US government at one time or another. Collectively, their activities include organizing the largest civil-disobedience arrest in American history; publishing extensively on the topics of war, peace, and nonviolent movements; serving as journalists, professors, film producers, civil rights activists, prison reformers, and conscientious objectors; participating in the People’s Peace Treaty Delegation to Vietnam; and founding the Fund for Reconciliation and Development to normalize relations between Vietnam and the United States. Essays in The People Make the Peace are well written, thoughtful, carefully researched, and provide data to support eyewitness observations. Nonetheless, the book will not appeal to everyone. Its unabashed support of liberal politics and the authors’ controversial histories may anger some readers. Political conservatives may bridle at the pacifist, civil-disobedience agenda this volume promotes. For example, in speaking of the United States, Aguilar-San Juan and Joyce comment, “The sole super-power stands alone in its dedication to all war all the time.” Yet the evidence the authors provide to support such assertions is difficult, if not impossible, to ignore. Waging peace is no easy task. But for pacifists who are not faint of heart, The People Make the Peace provides a valuable road map to changing the course of history.